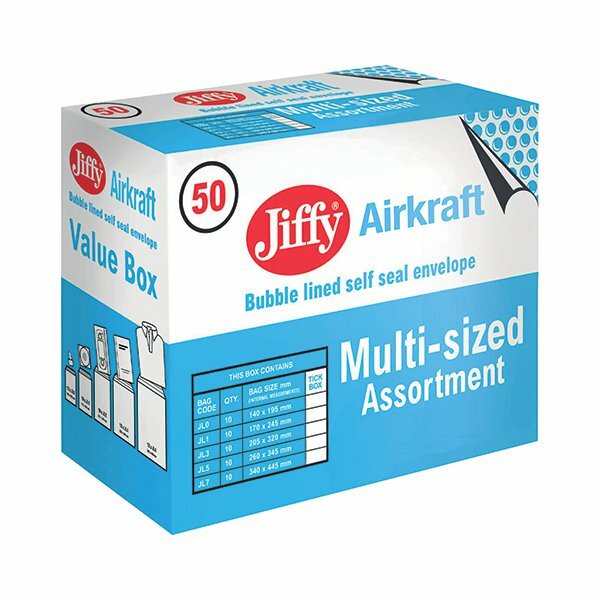 Save on postage costs with this lightweight, bubble lined Jiffy Airkraft mailer. The lining is designed to be puncture and shock resistant to protect delicate or fragile items in transit. The mailer also features a strong, simple self seal closure. 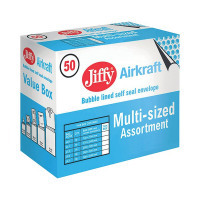 This pack contains 50 gold mailers in assorted sizes, with 10 each of size 0, 1, 3, 5 and 7.